If you’re local to Orange County, you’ve likely heard the name Lindye Galloway Interiors pop up. Lindye Galloway is a talented interior designer that is taking Orange County by storm with her beautiful trend-setting designs. I’ve worked with Lindye while taking her branding photos and am blessed to call her a friend. So, when she inquired about having me take some family photos, it was a no brainer! I couldn’t wait to get her adorable family in front of my lens. We decided to do an in-home family photo session, capturing a day in the life for their sweet family. The Galloways had just had their home exterior remodeled, and have been loving spending the warm days playing in the front yard. We had so much fun hanging on the porch swing and front stoop. And don’t get me started on the adorable tree swing! 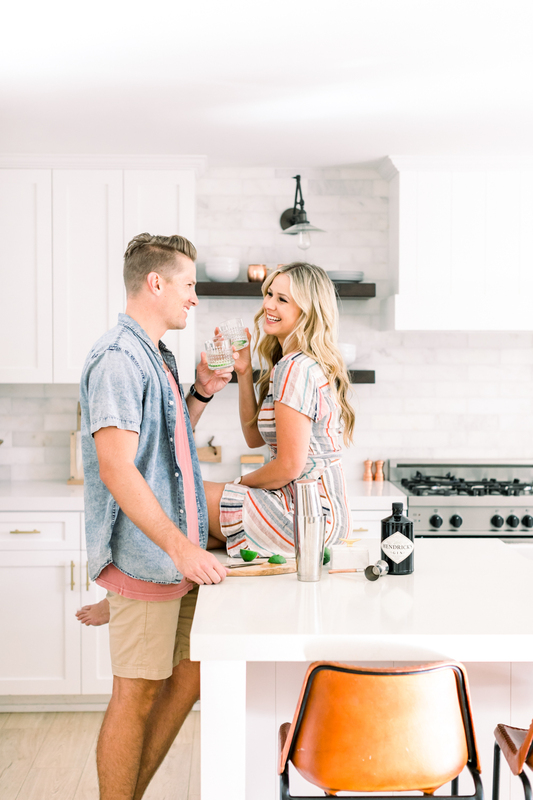 As parents of little ones, Winn & Lindye Galloway have had to find creative ways to have date nights in. 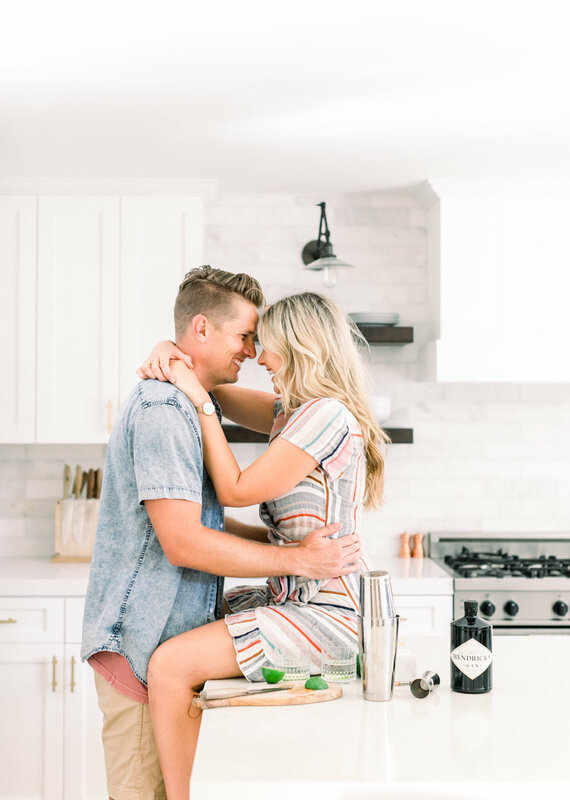 One of their go-to date nights is trying a new cocktail recipe together. What was on the menu for the day? Gin Gimlets! Perfectly refreshing with this Southern California weather. One of the traditions Lindye has carried on into her own family is making Mickey Mouse waffles on Saturday mornings and her kids always look forward to it. 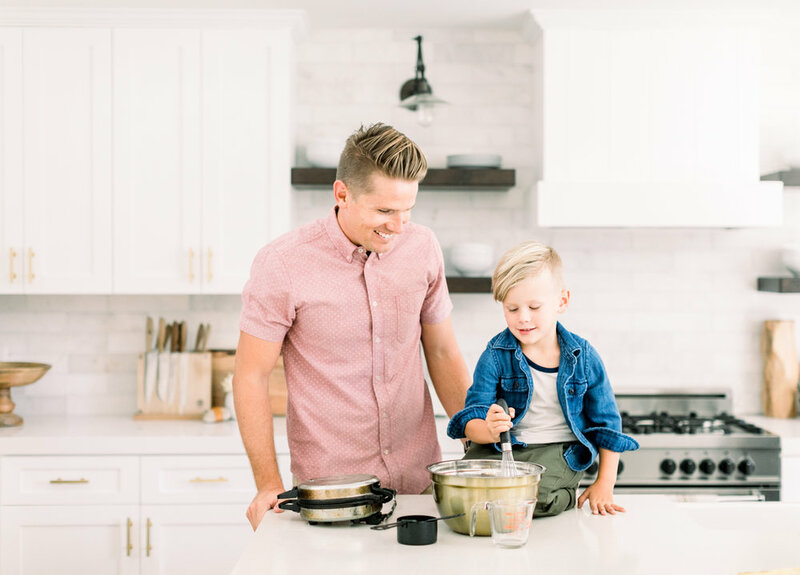 We captured these sweet moments as well, with the whole family piled into the kitchen… even the littlest one lending a hand. If you are interested in a family photography session, I encourage you to get creative! There are so many fun ways to incorporate the things that are important to your family, and the family photos will become memories captured that you can relive forever. All photos captured by Orange County Family Photographer Lovisa Photo. 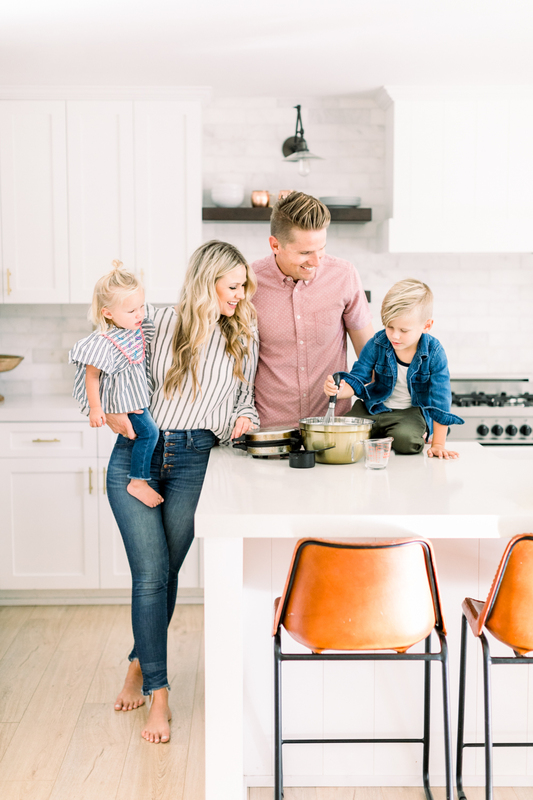 If you liked this Family Session with Lindye Galloway, you may also be interested in this branding session with Lindye Galloway Interiors and this branding session with Penelope Pots Floral Design.